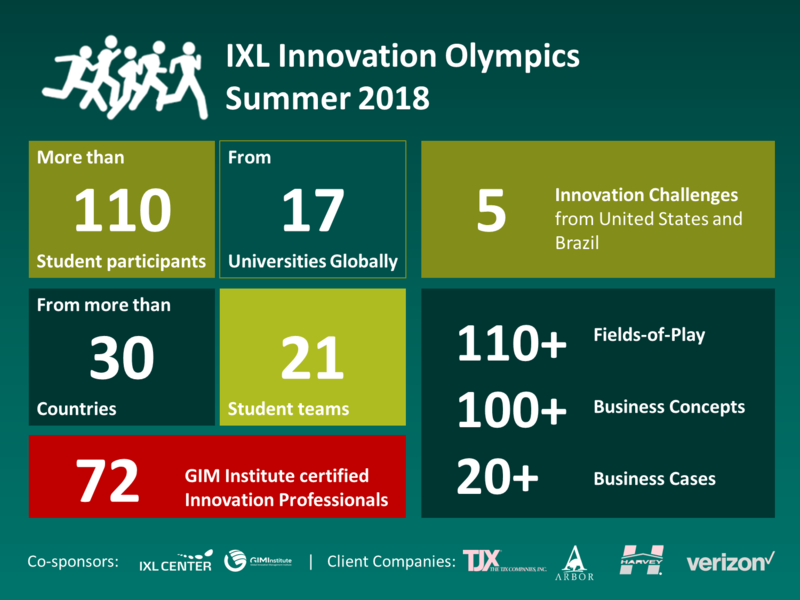 During the last 8 weeks, over 100 students from 17 universities around the globe have joined the IXL Innovation Olympics to work on innovation challenges facing these industry-leading companies: Verizon, Harvey Building Products, Arbor International and TJX Companies. IXL Innovation Olympics has had a massive financial and social impact over the years, helping to spur new products, new markets, and economic development for top global corporations as well as national and state governments, resulting in solutions and pressure-tested business cases with a value of $1.5 billion. We are getting ready for the fall 2018 IXL Innovation Olympics, starting at the beginning of October. Please contact yan.yu@ixl-center.net, if you would like your company to explore new growth opportunities. The 10x Growth Program, after making an amazing positive impact in Colombia, has been successfully piloted in Brazil, Canada and Italy. IXL CENTER is looking for new opportunities to bring this program to new countries and cities globally. Eduvate! gathers case examples from more than fifty innovative educational institutes, schools and tech startups whose specific breakthroughs are dramatically changing the way education is being taught, delivered, received and consumed by people from all walks of life living across the globe. Eduvate! will be published by the end of 2018. This book can act as a guide to individuals as well as organizations that are ready to adopt and exploit the disruptive potential of today’s eduvations to become leaders in education… or leaders through education. 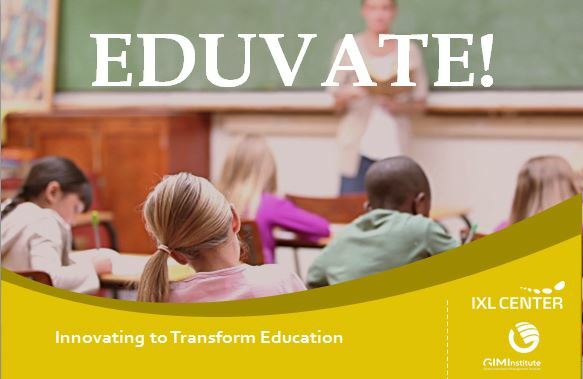 Would you like to see your eduvation featured in Eduvate? IXL Center is completing an exciting project in collaboration with experienced Innovation Practitioners: The Innovator – The FAQs of Innovation. This project is bringing together a “dream-team” of managers representing a variety of industries from around the globe to answer the most important questions concerning the practice of innovation. Click on the button below and receive new insights about innovation each month. Innovating THROUGH a Downturn (not just in a Downturn) How do you involve all units within your organization and partners & networks to assist with driving innovation from idea to market?